This week's Halo: Legend's anime film on Halo Waypoint via the Xbox Dash is the first of two parts called The Package. The Package's plot follows the hero from the xbox games, the, er.. legendary Master Chief and four specially chosen Spartans as they launch out on a stealth cruiser into the heart of a massive Covenant fleet in a bid to recover a valuable intelligence asset. 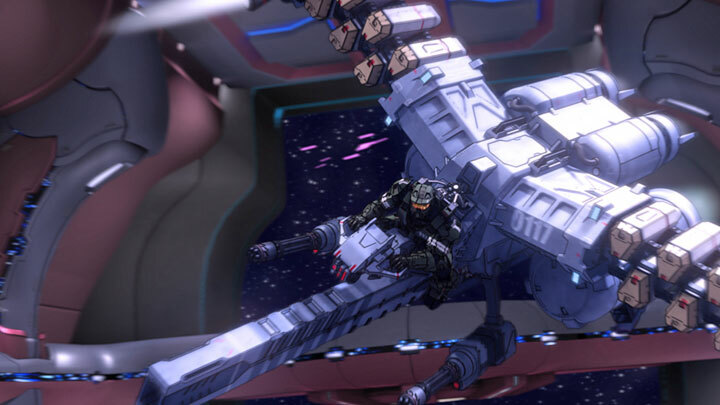 This anime proves that Spartans are adept at fighting in zero-gravity and are adept at piloting never-before-seen light attack vehicles. 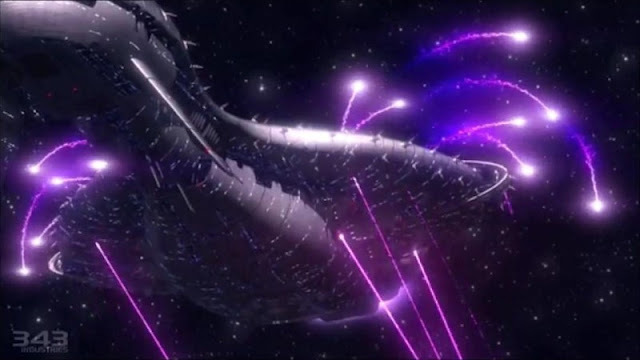 The Spartans' target is a Covenant CCS-class Battlecruiser using the Booster Frames ships. The Package was put together by Casio Entertainment and 'visionary' director Shinji Aramaki, who's Appleseed films are among the more popular anime films in the western world. Here's the Promotional trailer for The Package - it gives a great shot of the Spartan's attacking the Covenant space ship. Check out more Halo: Legends, with The Duel and The Babysitter.